Since Carol Tallon wrote the first edition of the Irish Property Buyers’ Handbook back in 2011, the property market in Ireland has changed. More importantly, the world has changed, particularly in how information is consumed. Property buyers need access to the most up-to-date, reliable and immediate information when the time comes to start searching for that ideal property or when it’s time to put in the winning offer. There isn’t always time to get to a bookshop, or to wait for an online order to be delivered, or to wade through lots of helpful though not necessarily relevant content to answer that one pressing property query or to help guide you through one particular stage of the buying process. For times like these, the Property Insider’s Guide series has an ebook for you. This ebook, co-authored by experienced property solicitor, Susan Cosgrove, and series editor, Carol Tallon, looks at the legal process – a mystery to most first-time house buyers. 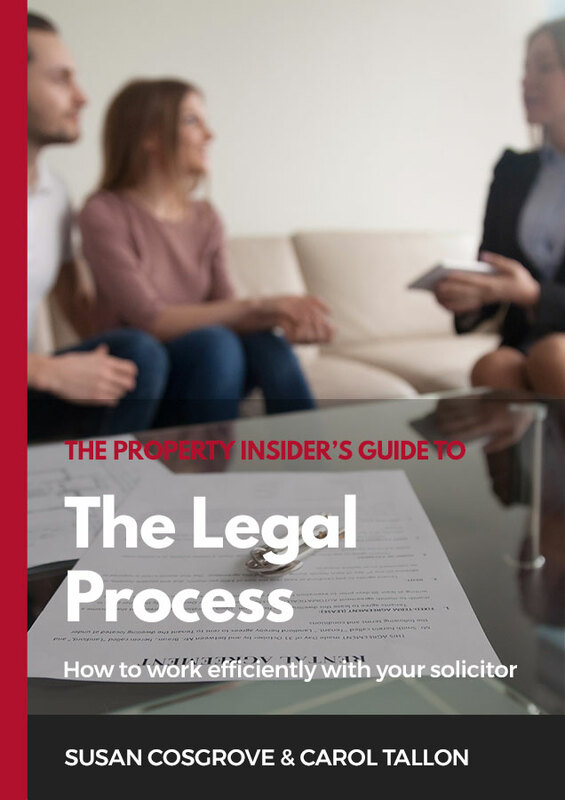 It starts by looking at how to choose a solicitor and explains the solicitor’s role in the legal process. Then it turns to the legal process – explaining each step involved, starting from the acceptance of your offer by the seller. Deposits, contracts, title and qualifications on title, signing and closing are all explained and put in context. Last, the team look at legal fees and costs – what must you pay, to whom and what for.